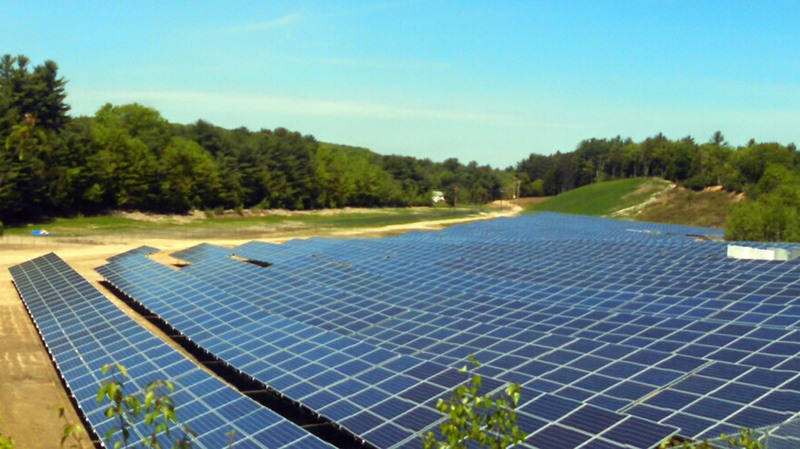 In 2014, we worked with the Town of Winchendon to complete this ground-mounted solar installation on the 30-acre site of a former sand pit. The first of its size in town, this project provides tens of thousands in new, recurring tax revenue, reducing the burden of everyday taxpayers.This site presented unique challenges to our EPC team. Nexamp became one of the first installers in Massachusetts to use a helical ground screw mounting system to install swiftly on a site with difficult slopes and rocky soil conditions.As part of a long-term solar net metering credit purchase agreement, the energy generated at the solar site provides savings to the Chelmsford and North Chelmsford Water Districts and their residents. Nexamp’s deep local experience and breadth of project expertise was key in driving this project to completion. They came in with the vision, plan and capabilities to make it happen when other developers who were offered similar opportunities could not get the projects off the ground. They were able to identify and resolve potential challenges in advance so that implementation went smoothly. We’re excited to have turned what was essentially wasted land into a clean, productive, revenue-generating asset for our town. Produces enough energy to power 385 local homes. Employed 60 local construction and electrical professionals at the height of site work.